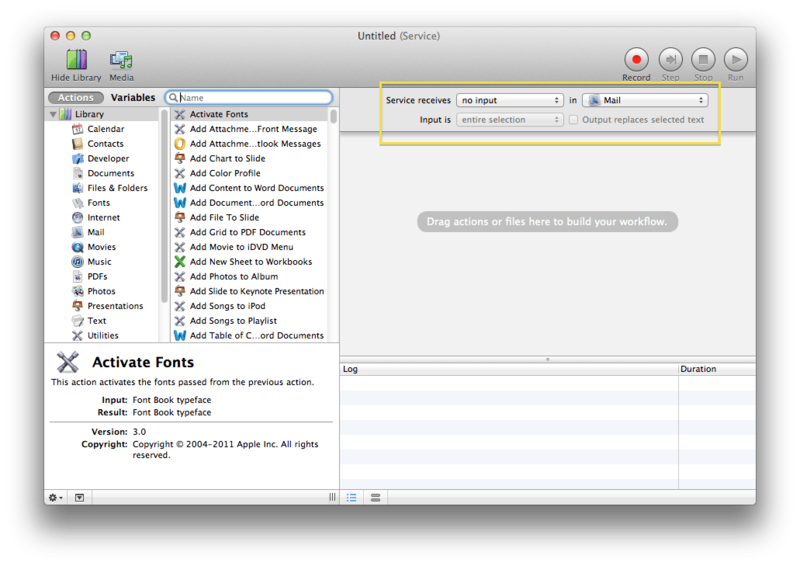 Save the workflow with a name like “Bounce Message”. This will save the workflow in the Library folder under your home directory in a subfolder called Services (not that you need to worry about this). Now assuming you have two email accounts setup in Mail, send a test email from one account to the other. Then in the receiving account check for the new mail, select it, go to the “Mail” menu, under “Services” and select “Bounce Message”. This should bounce your test message back to it’s original sender (your other account) and delete it from your inbox. 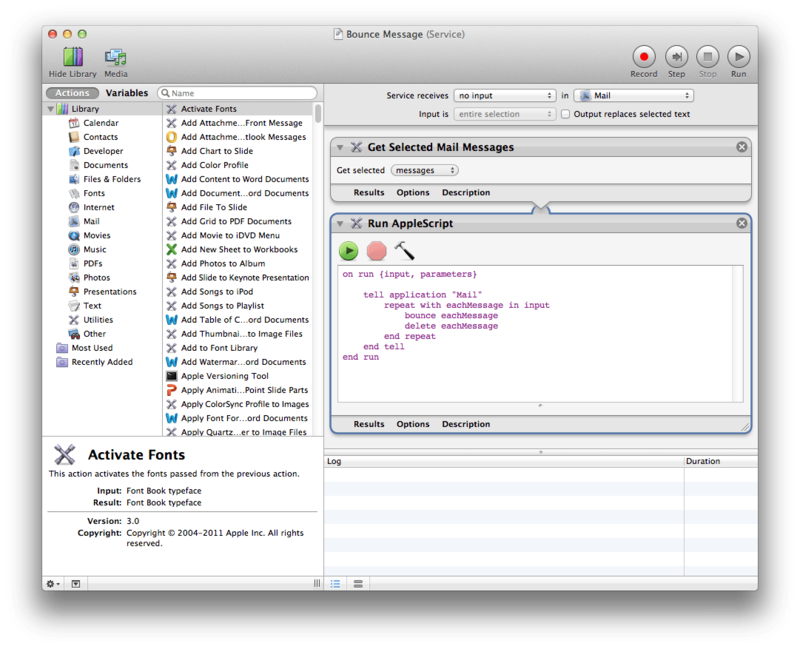 If you want to get really fancy you can even assign a keyboard shortcut to the “Bounce Message” Service. If for some reason you need to get rid of it, just delete the file under your personal Library directory (in finder hold down option while going to the “Go” menu and select “Library”), under Services folder. Hi, I tried this tutorial of making a Bounce Mail Service for Mail (ML 10.8.5) and it doesn’t work – the mail disappears from Mail but doesn’t go back to sender. I, too, would like this function to work, but it moves the offending message to the Trash folder without sending it back to its originator. Is a fix possible? I, too, would love to have this work properly, but while it moves the offending message to the Trash mailbox, it does not return it to its originator. Can this be fixed?